Prominent Perth theatre actor, director and author, Edgar Metcalfe AM has died after a short fight with liver cancer, five days short of his 79th birthday. Edgar had been directing, producing and treading the boards of various Perth theatres for many years. He came from England in 1963 to be artistic director of the National Theatre of Western Australia at the Perth Playhouse Theatre, having already gained twelve years experience in the English repertory system. He came to Australia because he ‘thought the climate would be better for his asthma’. Edgar brought with him three actors from the UK – Judy Wilson, James Beattie and Frederic Lees. He covered the Playhouse’s loss making shows and Shakespeare with more popular and profitable productions, including the occasional musical and English style pantomime, using pop-stars, smoke bombs, auditorium chases, and clowns, with himself as the dame. These productions incorporated song and dance, comedy in its many forms from buffoonery, slapstick, cross-dressing, high-camp antics, topical references, audience participation, in-jokes, double-entendre and mild sexual innuendo. The comedy entertained the children whilst the sly innuendo amused the parents. What was intended to be a two-year stay became three stints over more than two decades (1963-67 then 1970-72 and 1982-84) during which he directed or acted in more than 100 productions. Among his directing highlights was the 1971 Australian premiere of “Cabaret”, which starred Nancye Hayes and John Ewing and filled the 700-seat Playhouse every night for four weeks. 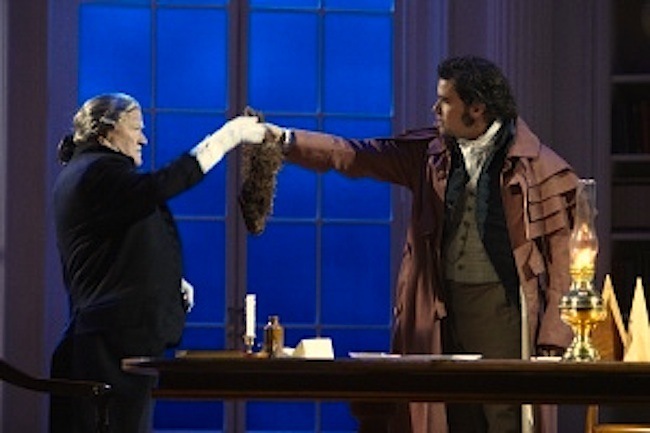 After his first four and a half years in Perth, he took up a post as Associate Director with the Melbourne Theatre Company for two years (during which time he won the Melbourne Critic’s Award for his productions of “The Devils” and “What the Butler Saw”). During his absence from Perth, the National Theatre Company’s fortunes declined, hence his welcome return in 1970. 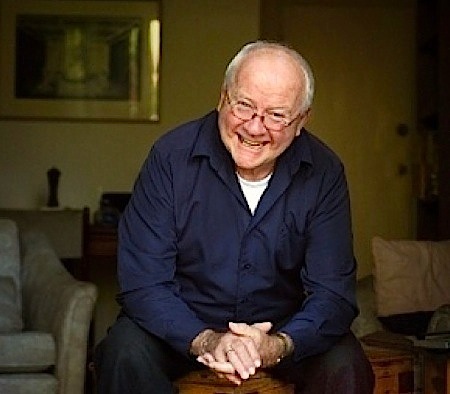 Prominent Perth theatre actor, director and author, Edgar Metcalfe AM has died after a short fight with liver cancer, five days shy of his 79th birthday. Edgar also frequently worked for the Effie Crump Theatre in Northbridge. A tiny auditorium formed in 1990 out of a disused room upstairs in North Perth’s Old Brisbane Hotel. A theatre created by Elizabeth Caiacob, who like Edgar did her training as an actress in the UK (Effie was Elizabeth’s maternal grandmother). 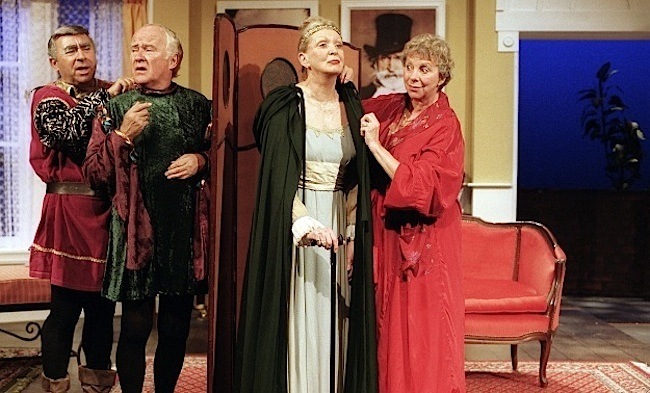 In 2001, Edgar was joined by his old UK and Playhouse colleague James Beattie at the theatre, where Rosemary Barr also appeared in the nostalgic play, “The Kingfisher” by William Douglas Home. Edgar also had five of his own full length plays produced in Perth with considerable success, and had two novels ‘Homing Pigeon’ (a perceptive story about a woman widowed at 50) and ‘A Guy called Alice’ (which is an account of the gay and transvestite lifestyle told with a mixture of bravado and pathos, humour and tragedy, which was set in Perth, WA). This novel was based on his play “Alleycat Alice and Friends”. 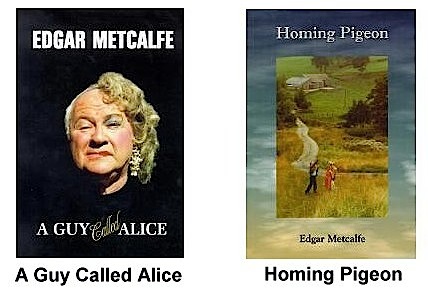 Both books were published by Access Press. Access Press is a prestigious publishing house with a historic connection to former ABC announcer and one time theatre critic John Harper-Nelson and journalist Helen Weller. Publications under the imprint of Artlook Books originally sprung out of the arts related activities of the Cultural Development Council of WA, which was presided over by a small committee chaired by John Harper-Nelson and included the ABC’s Tony Evans, Kirwan Ward of the Daily News, Nick Hasluck a barrister and writer, John McIlwraith an author and journalist, Collin O’Brien a theatre critic and lecturer, Tom Gibbons an art critic, writer and lecturer at UWA and Dr. D’arcy Ryan a lecturer in Anthropology at UWA. As an actor, Metcalfe has played Shakespeare’s most evil villain Iago in “Othello”, the ruthlessly ambitious Scottish lord Macbeth in Shakespeare’s “The Tragedy of Macbeth”, Puck a fairy in Shakespeare’s play “A Midsummer Night’s Dream”, Prospero the protagonist in Shakespeare’s “The Tempest”, Caliban an antagonist in “The Tempest” and the physically challenged Roman Emperor Claudius. He also had leading roles in “Private Lives” a comedy of manners by Noël Coward, the archetypal man-in-a-dress comedy “Charley’s Aunt”, “The Caine Mutiny Court Martial” by Herman Wouk and appeared with Max Kay, Rosemary Barr and Jenny McNae in Agelink Reminiscence Theatre’s production of “Quartet”. In the musical theatre he played Fagin in “Oliver Twist” and Daddy Warbucks in “Annie”. Edgar also made appearances in a number of film and television productions between 1974 and 2007, and was subsequently, the Artistic Director at the Hole-in-the-Wall Theatre in Leederville. My first contact with Edgar was through the University Dramatic Society when I first became involved in theatre. Edgar was always a supporter of UDS and directed many shows for us as students. He made a point of working with aspiring actors to help them develop their skills. At the time he was also Director of the Hole in the Wall Theatre and helped many young people with their careers in theatre through giving them opportunities to work at the Hole in positions from box office to stage manager to walk on roles. Many of us learnt our craft by working with and watching Edgar. Later, as a Producer/Director at the ABC, I was privileged to work with Edgar on many children’s radio and TV programmes. During the heyday of production in Perth he appeared regularly in Let’s Join In and Storytime, two of the most popular radio programmes produced here in the West. He also worked with Kerris Myers, Penny Crittall, James Moore, Roger Penny and other producers on a wide variety of radio and TV programmes including For the Juniors, The MultiColoured Lunchbag, Here in the West, Let’s Have Music, Sing and Play and Living Library. In the late 70’s he featured in a Perth produced TV drama called The House, written by ABC staffer Paul Keogh and Directed by Bruce Crowle. Edgar was a very versatile actor. He was a great narrator, having a wonderful storytelling voice but he was also a consummate character actor who could be a a big bad wolf or a little pig or an English lord with equal believability! This made him a very sought after performer. Over the years he was a regular performer not just in Education programmes but also in radio drama productions as well. His ability to create a character by voice alone was a special talent which meant he appeared in many, many different roles in radio plays over the years. His great vocal versatility meant he was also able to create many wonderful book readings working with Tony Evans. Edgar was an absolute professional who took his work seriously no matter what the role. He was easy to work with and always happy to offer that something extra. Many of us who were new to radio and TV production owe him a huge debt of gratitude for what we learnt working with him. His service to theatre and broadcasting over the years was extraordinary and his influence was a great gift. He will be sorely missed. Edgar Metcalfe was named WA Citizen of the Year in 1976 for services to the performing arts. In 1978, Edgar was awarded the A.M. (Member of the Order of Australia) in the Queens Birthday List for his services to the performing arts. Edgar directed four national tours in Australia: “Doctor in Love” and “Night Mother” with Jill Perryman and June Salter at the Perth Playhouse in 1984, then nationally in 1985; and “The Nerd” and “Corpse” with the late Gordon Chater. He will probably be best remembered by many for his performance as Salieri in Peter Shaffer’s “Amadeus” in 1984, and for playing panto dames. Whilst listeners to the ABC’s Radio National will remember his reading of William Makepeace Thackeray’s satirical work “The Rose and the Ring” in 2006. 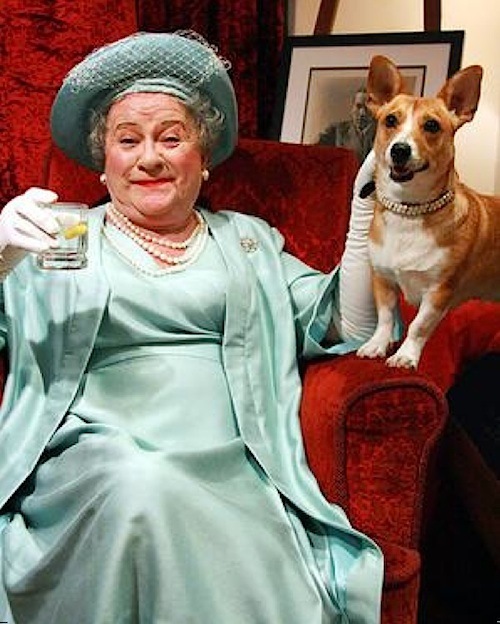 In 2007 and 2008, Edgar starred in “Two Old Queens” (which was written and directed by John Senzuk), where he played Her Majesty the Queen Mother. It’s the story of an unlikely friendship that lasted half a century, between the Queen Mother and the legendary English actor-playwright, Sir Noel Coward. During the play, the Queen Mother has an encounter with the ghost of Coward. Over a martini or three, they relive a half-century of magical memories and musical moments, as well as revealing jealously guarded secrets and long-held grudges. After breaking box office records at The Blue Room in 2007, the production toured Adelaide, Melbourne and Sydney. Edgar’s performance was nominated for a 2008 Equity Award as Best Actor and won an Horatio Award (The Sunday Mail Adelaide 2007) for Best Character Study. 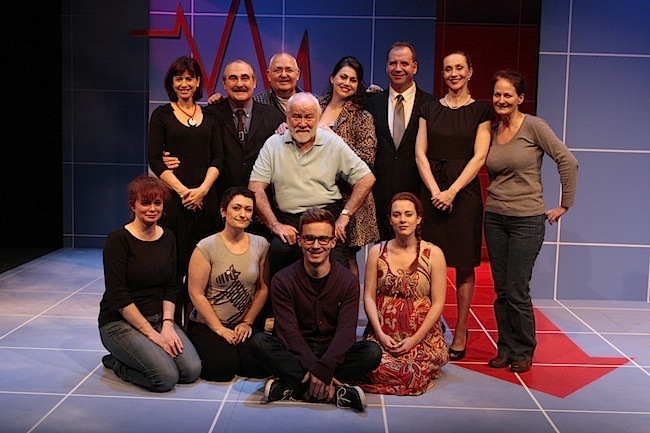 In 2010, The Graduate Dramatic Society (GRADS) presented the World Premiere performance of: “With Friends Like These” at the Dolphin Theatre, University of Western Australia. It was a comedy written and directed by Edgar Metcalfe. Edgar had previously directed “The Importance of Being Ernest” and “The Merchant of Venice” for GRADS, one of WA’s oldest amateur theatre groups. After being one of the driving forces behind Australian theatre for nearly half a century, Edgar decided to retire to England in 2010, but was troubled by asthma and disillusionment with how things had changed. He returned to Perth and made a comeback in the world premiere of WA playwright John Aitken’s “The Enchanters”, at the Heath Ledger Theatre in May 2011. Edgar played two roles, with quick changes, as he dodged back and forth between Queen Elizabeth the First and Second Carpenter. It tells the dramatic story behind the building of William Shakespeare’s signature Globe Theatre in 1599. Next Edgar appeared in another world premier, this time it was David Williamson’s “When Dad Married Fury”, which examines the political and religious divides of contemporary Australia. Its basically a black comedy about a rich old man who upsets his greedy sons by marrying a much younger woman. The premier was performed at the opening of the Metcalfe Playhouse in July 2011, where Edgar was honoured with the renovated IMAX cinema in Lake Street, Northbridge, being converted into a live theatre venue, and named after him, and the defunct Playhouse Theatre at Pier Street in Perth. Edgar’s last professional appearance was on April Fools Day 2012, with a minor role in Tom Stoppard’s “Arcadia”, presented by Black Swan State Theatre Company at the State Theatre Centre of WA. The play, written in 1993, concerns the relationship between past and present and between order and disorder and the certainty of knowledge. It is a classic British love story set in 1809 and spans 180 years, with eccentric characters, a mystery and scandal weaving through the centuries. His enormous contribution to Perth theatre will be remembered with great affection and gratitude. Edgar Metcalfe has donated his body to science. Greatly saddened by the death of Edgar Metcalfe. I toured with him in the Agelink Theatre production of Quartet some years ago and greatly enjoyed working with him. A fine actor and a gentleman. He will be much missed. Writing from London, I am deeply saddened by the untimely death of a dear friend. Edgar was one of the first to welcome me to Perth in 1981, when I was invited to set up the theatre department at WAAPA. He introduced me to the theatre community and gave me the opportunity to direct two productions at the Playhouse. In return I asked him to work with the new acting students for his skill in comedy timing, text analysis and stagecraft was a rare combination in Perth in those days. They were so lucky to have had his experience passed on to future generations. His generosity and deep love of the acting profession is a huge loss to the theatre community. There must be a repertory company up there somewhere for him to join again. Edgar will will sorely missed from the professional theatre in Perth. I had my first professional role with Edgar directing, for the Festival of Perth in 1966. We often laughed about me tearing back to Sorrento to feed my second son when an extra rehearsal was called. I was so scared that if I told him, he might give my walk-on part to someone else! I have been privileged to work for and with him over the years. He directed my production of “Lloyd George Knew My Father” at the Regal Theatre – coping very well with Jimmy Edwards and keeping him to the script! He also directed my first show at The Effie Crump Theatre and went on to act and direct very many times over my 10 year stint. We also had many a laugh when he told me that he was sure Effies would not last. His legacy to theatre and to Perth especially will always be remembered and I “tips my lid” to a true professional. Thank you Edgar, for all you have given me over the years. Writing from London it is with great sadness that I heard today of Edgar’s passing. I had the privilage of working at the Playhouse as a very junior actor and ASM in 1965. Edgar was a very inspirational force in my life, I am especially grateful to him for the time he spent in making me welcome and included in a world which as a knock-about kid from Perth was far from my experience and expectations. His patience and advice about my future led me to England and, after seeing how badly jobbing actors were paid there, to my eventual (and current) career in Film. Here I have stayed more or less, married and settled. I saw Edgar latterly when I could, on a few occasions on family visits to Perth and he was always charming and kind. Those of his contemporaries and friends who are still with us will I know miss him greatly but mostly it is the people of Perth, who were his audiences, who will feel the loss. He truly added to the quality of peoples lives and I thank him for it. That and the wonderful waspish sense of humour and all the mad things that could and did happen at the Playhouse at that time, my best wishes and thanks go out to you all and my very fond memories of Edgar, a life extrememly well lived.